Black Sabbath Converse: A San Francisco, CA Venue. 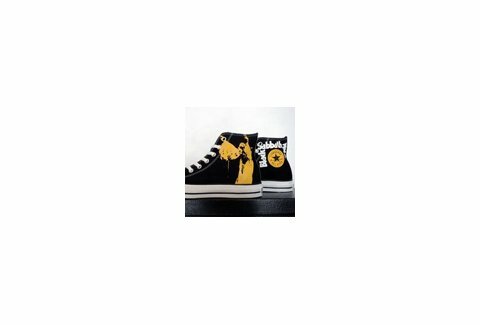 Just in, these limited edition Chucks come in two versions: one bearing an iconic "fallen angel" w/ horns and devil tail, the other borrowing cover art from Sabbath's notoriously cocaine-fueled "Vol 4." -- finally, Ozzy kicks his drug habit.